Select Waist 28" 32" 34" 36" 38" 40" 42" 44" 46" - Out of stock 48" - Out of stock 50" 55" 60"
Great belt, best way to secure your gear were you want it and it will stay there. I highly recommend it. I have purchased multiple sets of these belts. My only complaint is I wished the inner belt was thicker....other than that it fine. Great belt, bought a second one and will probably get a third for my wife. I wear 32" pants and got a 36" belt, I would recommend that size since it provides a lot of support for lots of gear like a 3 gun setup. Great belt. I ordered two of this belts and probably one more later for 3. gun. Great, belt! Strong, and allows no twist, at all. Highly recommend this to all competitors. 6836 Packingham Dr Sorry it took so long to do this but the DAA Premium Belt is everything my friend Randy said it would be!! GREAT!! The only problem with it is my fault,should have gone one size smaller!! Relly like the belt I have bought two of them as well as eight DDA mag pouches. Best belt on the market. I like that the outer is very stiff. I have four other competition belts. This is the best one I have ever owned. The inner belt is soft and the outer belt is very stiff. The materials are good quality and this is a very well made product. A great belt for the money. Very sturdy, it is a bit thick, but was able to make everything work. 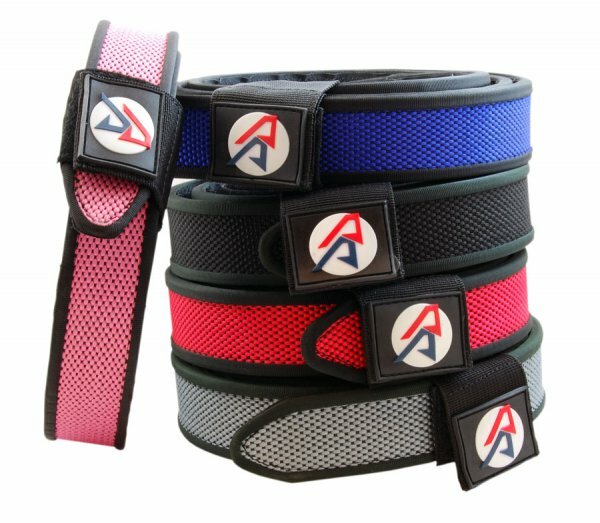 Highly recommend this belt! Excellent belt. Good quality and great price. Very stiff belt the first few times wearing it but it does begin to form to the wearer and improve in comfort. Highly recommend this if you are looking for a good quality belt for participating in matches for all levels from entry level and up. The outer belt is the best out there. It is super stiff and is great in competition. The inner belt end has begun to fray from just a few uses. It appears to have been poorly finished on the ends. This belt is the very best on the market. I bought my first almost 10 years ago, used almost every week and it is still going strong. I bought a second one to use with my box fed shotgun magazines and i’m pleased to say that the quality is as good now as if was then. Highly recommend this belt. Habe schon 2 Gürtel gekauft, da ich zwei unterschiedliche Disziplinen schiesse und bin sehr zufrieden. Der erste Gürtel hatte ein kleines Problem mit sich lösendem Flausch- Klett. Kurze Email an DAA und sofortige Rückfragen von DAA und anstandslose Ersatzlieferung. Wirklich sehr netter Kontakt und hervorragender Kundenservice. I just got into 3-Gun competition and realized how important proper gear is. I used the DAA Premium Belt last Saturday in my 3rd match (ever) and it made a HUGE difference. The stiff, two piece design worked perfectly and held the holster, shell carriers, mag pouches securely. Managed to finish 2nd in Factory division and 27th overall. I just finished building DAA a Limited 10 rig for IPSC. The DAA gear is pricey but it's worth the cost. Q: My pant size is 34". 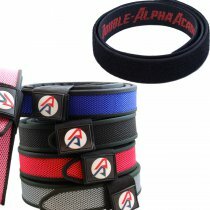 What is the correct belt size I need to order?